Scotland will open their Six Nations 2020 campaign with a trip to Dublin to face Ireland on Saturday February 1. Gregor Townsend’s men will then host England in the Calcutta Cup on February 8 at BT Murrayfield on Saturday February 8. Both matches start at 4.45pm. Italy welcome Scotland in round three, with a 2.15pm kick-off on Saturday February 22 while France are the visitors for a 3pm Sunday kick-off on March 8. Scotland will travel to Cardiff to face a Wales side led by Wayne Pivac in the final round of fixtures on March 14 at 2.15pm. 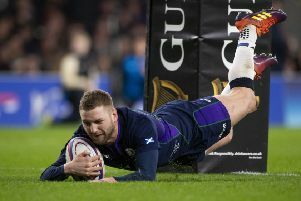 The 2021 Championship will see Scotland on the road again at Twickenham, with the Calcutta Cup clash taking place at 4.45pm on Saturday February 6. 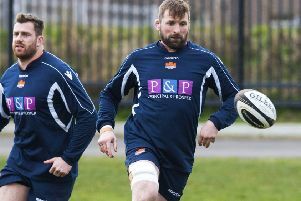 The Scots face Wales at BT Murrayfield on Saturday February 13 with the same kick-off time. Sunday February 28 sees Scotland in Paris for a 3pm kick-off, where they will be aiming for a first win since 1999, before hosting Ireland on Sunday March 14, again with a 3pm kick-off. Italy are the visitors for the final match, with the Azzurri facing Scotland at Murrayfield on Saturday March 20 with a 2.15pm kick-off. There will be no Friday night matches in either campaign but both will finish at 8pm in Paris, with France hosting Ireland and Wales respectively - meaning the Six Nations winner might not be determined until 10pm.